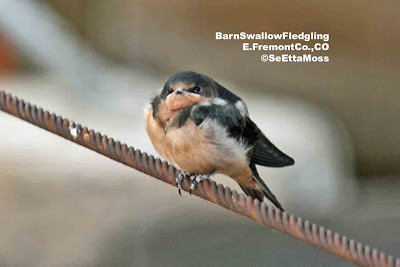 This recently fledged Barn Swallow just looks like it's saying "being of the nest isn't all it's cranked up to be so just go ahead and make my day." Even if you really don't like insects, I think that the ferocious look of this member of the wasp family is compelling. I can really see this used as some monster in a sci-fi flick. 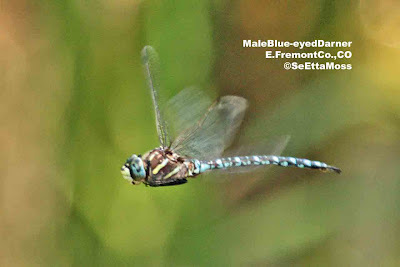 I saw this very interesting insect flying with a cicada in it's grasp and landing on the hood of my car in some stormy winds at Lake Cheraw. 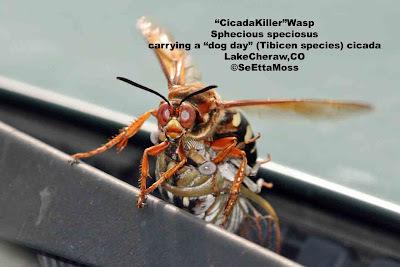 Aptly named "Cicada killer" as that is what they do, not to feed themselves but to feed their young (they feed on sap and nectar).